This is my 7th year in a row, attending the watch shows, and has proved to be one of the more interesting ones, especially considering that 2003 was a washout year, with the war in Iraq, and SARS in Asia. Here are my personal picks for the most impressive watches shown this year, in no particular order. I have chosen to include all watches shown and unveiled during the April 13 to 25 timeframe in Switzerland, and would include those shown at BaselWorld 2004, SIHH 2004, Bvlgari 2004, WPHH 2004, and the Geneva private shows by Richard Mille, Francois-Paul Journe, et al. The word going around the connoisseur circles in Basel this year was, “Have you seen De Bethune?”…this amazing company, the brainchild of David Zanetta, and chief architect Denis Flageollet, has burst into the scene with vigor! 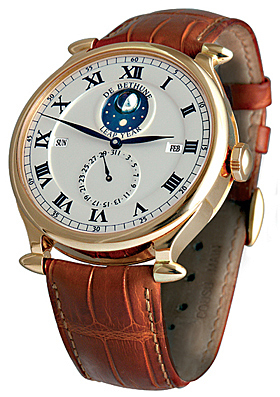 Revealing a most impressive watch – the Perpetual Calendar with Revolving moon, available with a gold or porcelain dial, this remarkable watch shows the moon phase in a platinum/blued steel sphere spinning in 3 dimensions, and a perpetual calendar showing the day and month in apertures at 9 and 3, and a sub dial showing the date at 6. 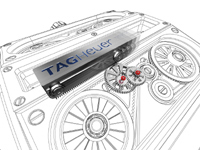 The watch features a completely new caliber, entirely designed and manufactured inhouse. The ¾ plate movement in the shape of a shield, houses twin barrels, and a beautiful balance bridge, carrying the special balance wheel, made of 4 spokes in titanium, and platinum, bullet-like weights for poise, balance and adjustment. The balance spring is also entirely inhouse, featuring a unique material, in two-tone, and special angular shape. The watch is housed in a very handsome case, with fancy lugs, in the shape of the balance wheel weights. 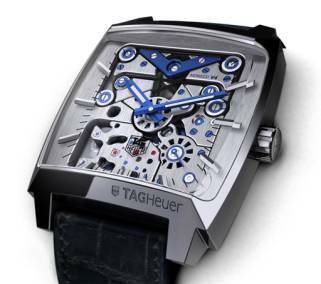 One of the bravest projects to be embarked upon by any manufacture, especially so a large mid-market house like Tag Heuer. This magnificent concept watch is a breakthrough in technology. Instead of using a swinging weight, a 4.25g ingot of solid platinum slides linearly on a track between four spring barrels. A gear system engages a cogwheel and translates the linear movement into a rotating movement winding the 4 mainsprings simultaneously. The movement is also completely absent of any cogwheels, transmission of power being replaced by a belt system. 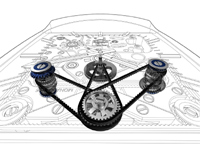 The pinions of traditional mechanical movements is replaced by a system of 13 drive belts, inspired by its creator’s view of his Maserati engine. The advantage is fewer wheels are required as all wheels in the system are turning in the same direction. 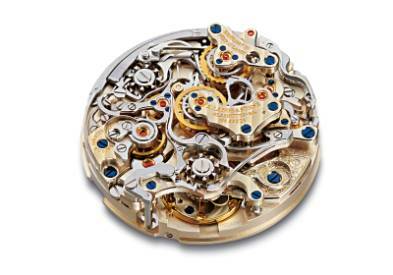 Instead of traditional rubies, the movement features 39 micro ball bearings. The movement is also build in a modular fashion, with the movement’s energy provided by four barrels aligned in a 2 by 2 series, linked by a differential in a V-shaped bridge. 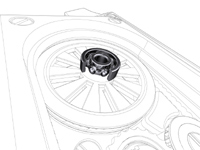 Each barrel provides a force of 375g, totaling 1.5kg of force provided by the mainspring system. The barrels are mounted at a V, angled 15deg with respect to the dial. The power is transmitted via two constant velocity joints to the movement train. The barrel bridges are in sapphire, allowing the viewer a peek into its heart. The watch also features a modular balance mechanism, and a balance spring assembly designed by none other than Philippe Dufour. The Lange team was busy with a new complication this year, a world premier – a chronograph with two minute totalizes, allowing split times to be recorded for up to 30mins. 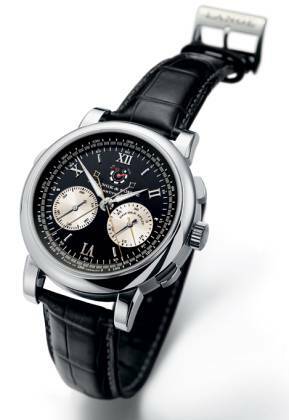 Regular rattrapante chronographs feature the split lap time measurements of up to 60s, before the main chrono hand catches up with the main rattrapante hand, but when it does so on the Lange Double Split, the jumping minute totalizer also splits, allowing the second lap time to be tracked for up to 30mins difference to the first lap time. Also special is a patented mechanism to dis-engage the rattrapante hand from the chronograph hand when the split is performed to reduce the classical rattrapante drag, and a new balance wheel, free sprung on the inhouse manufacture balance spring. With this new watch, they have proven, once again, that they are able to rise the challenge as the jewel of Germany. 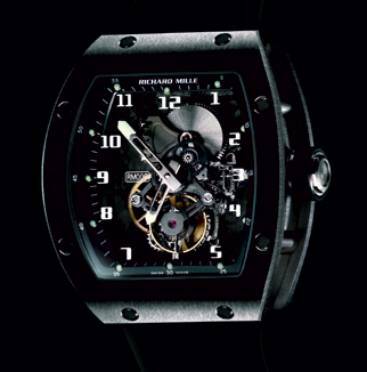 Richard Mille again defied all conventions by announcing the new handwound tourbillon in movement whose plates are made of carbon composite material. The composite material is constituted of nano-fibres of carbon and a special manufacture technique creates a plate which is amorphous and neutral, and gives the movement a high degree of stability to temperature variations. 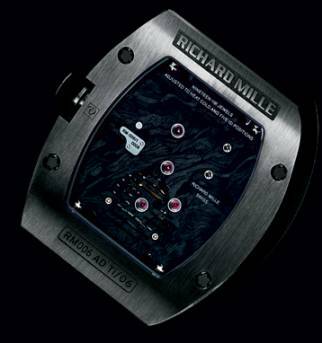 The usual Richard Mille high specifications are provided for the profile of the tooth system, the grade 5 titanium screws. The watch also features a tourbillon in a shock proof system. In a titanium case, the limited edition of 20 watches feels incredibly light and was very comfortable on the wrist. 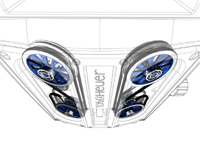 The watch carries the intent of a Formula 1 car to its limit…low mass, high rigidity, sleek design. A very unusual watch which is very appealing to own, and to wear.